I offer workshops and courses aimed at developing the skills of Early Years Practitioners working in any setting. Courses are scheduled throughout the year, please see 'upcoming events' for more information about current courses. I am also able to come to your setting to deliver training for whole staff teams. I offer workshops and talks for parents to help guide them through the important first years of their child’s life. The ideas presented are founded on sound education research and provide strategies that will make a positive difference for you, and the children you work with and care for. I am committed to providing informative, worthwhile Continual Professional Development (CPD) to practitioners from all Early Years settings. On each course I aim for participants to understand how to implement what they have learned and to know why it will make a significant positive difference to their practice. 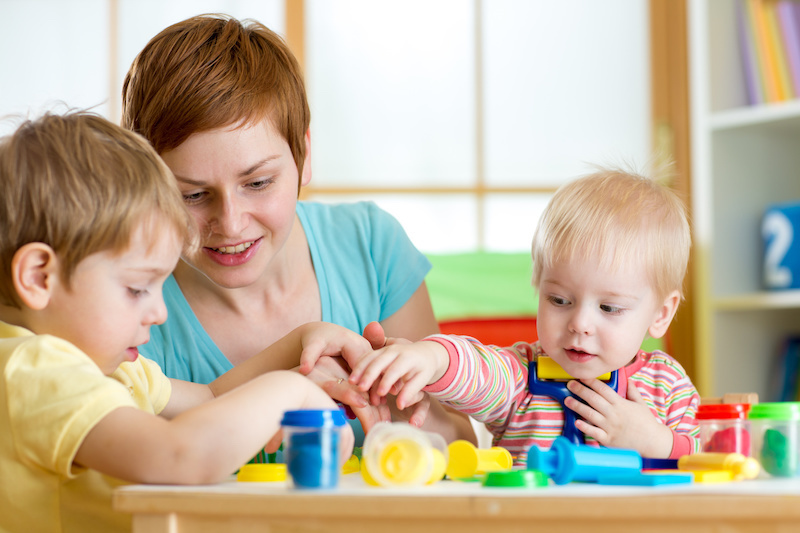 Being a parent of young children can be both rewarding and challenging. 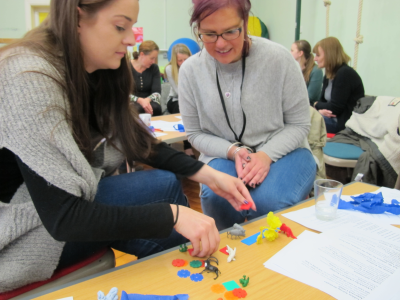 On this course I work together with parents to explore different strategies to enable them to have a better understanding of their child and to build a stronger relationship. 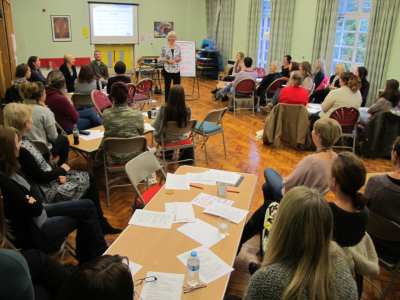 I offer talks and workshops for parents on behalf of schools, day nurseries, playgroups and other organisations. These can be tailored to the specific needs of your setting.